Painting is not only an expression of your personality but, also a way to enhance the aesthetics and value of your property. Although some usually think that painting the interiors is just enough, the exterior of the structure is the mirror that reflects its overall condition. Therefore, painting is always a key procedure for both the interior and exterior sections of buildings. It can be done both during construction, repair as well as refurbishment to add beauty, better protection against elements of damage and lengthen the lifespan of the structure. There are numerous benefits that you can achieve from painting your home or commercial establishment. However, this greatly depends on how the painting is carried out. If the procedure is not done to standard, there are several threats that your building can be exposed to, impacting huge repair costs and losses. But, there is no reason to take such risks when Waterproofing Singapore can deliver professional painting services at your convenience. We offer the best painting services for both residential and commercial property across Singapore. At Waterproofing Singapore, we know the most suitable paints, painting techniques and materials to use for lasting impacts. 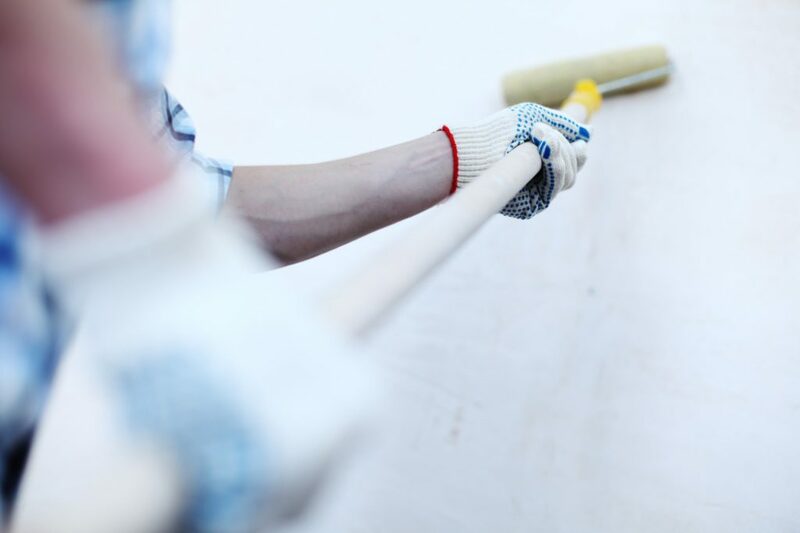 Whether you are constructing a new property, conducting repairs or refurbishment on an old one, we can always provide custom painting services for all your needs and budget. With us, there is always an assurance of the most reliable and affordable painting solutions for all kinds of homes and business establishments in Singapore. Colors always have a way of appealing to the emotions of people and, making an environment look more serene. And, these are among some of the results that painting can impact on your property. Even if you use just one color for the interiors and exteriors, paint has the power to transform the looks and appeal of the entire structure. Through painting, you are able to give your home or business establishment the kind of theme or décor that you need to portray. Painting is a unique work of art that can surely transform your property into a monument, which everyone would want to visit. Giving your home or commercial property the best paintwork can always go a long way in protecting the structure from various agents of destruction. Paint provides a tough shield that can effectively withstand rain, insects, fire and wind from causing damage to the property. Besides, proper application of paint also enables the building to resist accumulation of moisture, thereby preventing growth of mildew and molds. Considering all these, a well-painted property will not put you through the stress of frequent maintenance of repairs, hence, greater justice to your pocket too. Painting your property is also a great way to easily increase its value, especially when you are planning for re-sale. A well-painted property looks stunning and, also feels very comfortable. In fact, painting is one of the ways to show that your property is accorded the best care. When evaluating property, painting is among the key aspects that most appraisers today look into. Therefore, proper painting of the interior and exterior of your house can always give it an added advantage in the market. Whenever you leave the painting of your home or business premises to amateurs, it can be easier to experience the opposite of the above. Failure to use the right paint and painting techniques will not only make the property to look ugly but, also vulnerable to insects, rain, wind, fire and other elements of destruction. The overall result is an unsafe structure that cannot effectively stand the tests of time. At Waterproofing Singapore, we have the expertise and experience to make sure that your property is accorded the best protection against all these risks. We specialize in professional painting services for all kinds of homes and commercial establishments in Singapore. Our company has a team of trained painters who truly understand what the job entails. We understand the varying customer demands when it comes to painting services and, have an all-inclusive portfolio for greater satisfaction. To us, every painting project is accorded a unique treatment tailored to the specific needs of the owner. Our goal is to see to it that you achieve lasting results. There are various kinds of paints used in homes and commercial property today. And, choosing the best one is always important when planning to paint your building. As such, our specialists can always assist you in selecting suitable paints for the interior and exterior section of your property. In fact, we can even help you in finding the rarest paints in the market whenever there is need. We always recommend eco-friendly, tough and easy to clean paints due to their safety and long lasting effects. Whether you need to paint the entire structure or selected parts, we can always deliver the best painting services. Depending on your needs, we can also use various techniques to bring out the desired appeal. Our company integrates innovative painting technologies that ensure every task is done to precision. Whenever you hire us for painting services, you can always choose when the procedure should be done for greater convenience. The easiest way to booking our professionals for a paint-job in your home or commercial property is requesting a free estimate. We are always fast in responding to clients and, will ensure that a team is dispatched shortly to examine your property. At Waterproofing Singapore, we provide free on-site inspections for all painting services after which, you will be given a quotation for the entire project. Simply talk to us for a free painting services estimate.